Pleasantly surprised by GaultMillau Belgium 2017 where we saw seriously accrued interest and appreciation for young, talented chefs who focus on delivering delicious food made with quality ingredients, often sourced locally. Inspired by what Michelin has done in the UK, where pubs get stars these days and even more inspired by some Asian Michelin editions where streetfood was awarded a star, we very much look forward to what Michelin will hold in store for us coming Monday when the new Red Bible of fine dining will be revealed for Belgium and Luxembourg. Another important conclusion after the release of the Belgian GaultMillau guide 2017 is also that a lot of the chefs who got promoted have not recently changed their cooking style in order to obtain this or that award. They are passionate about their job, determined to achieve their goals, keen to bring plates to the table that are the perfect expression of their cooking philosophy, their vision. Quite often these chefs have adapted quite well to all the limitations mentioned above, working with small teams, often focussing on relatively limited à la carte choices and one or two set menus. 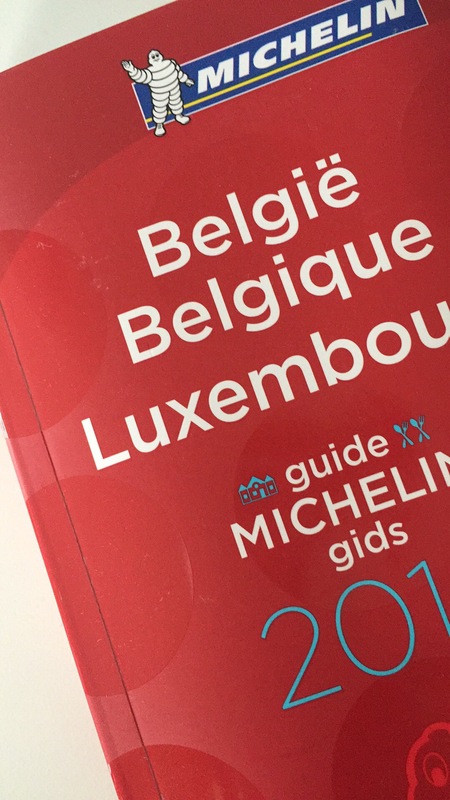 So what do we expect from Michelin 2017 for Belgium and Luxembourg? We hope for recognition of the chefs described above, they are the future of fine dining. Of course, the ultimate top, the Champion’s league of eating will always be the 3* restaurants but here also, we see that in this segment, creativity is coming under pressure. Dishes stay on the menu for quite a long time and/or come back on a seasonal basis. First of all, because the plates that come out of this type of kitchens are the result of a long and intense creative process. Also, they are often very technical and labour-intense so chefs are almost forced to keep them on their menus. Secondly, the pressure of a 3* status has an undeniable influence on creativity. The risks and consequences of losing that precious 3rd one are so immense that (un)consciously creating new dishes creates pressure. A last observation is that 3* restaurants become more and more destination restaurants, where you go for a total concept, built around recognisable creations, expressing the well-known style of the chef. The ultimate example of this is, of course, the restaurant of Monsieur Paul near Lyon. This being said, the future does lie with the upcoming generation of chefs who trade in formalism for an open mind, tablecloths for locally sourced produce, expensive winelists for craft beers and upcoming winemakers… In order to achieve this ‘renewal’ it might also be time to re-evaluate the exisiting list of restaurants with a star. If you remember from last edition over 11% of the featured restaurants in the 2016 guide have at least one star, this is immense. As such, this is not necessarily a problem but if you take a good look at the list, then the proverbial eyebrow could be raised quite a few times. In fact, the only restaurants that lost their star did so because they closed or because their chef left. Geographically, and we’re not being chauvinist here, we hope that West-Flanders get’s some well-deserved attention this year as the previous edition was a bit of a disappointment for this part of the country. Luxembourg is also something to watch as with Ma Langue Sourit and Mosconi two restaurants are more than ready to bring home two stars after a long period of absence of 2* places in the Grand Duchy. And finally, will Brussels get a new 3*? Bon appétit and see you tomorrow for Michelin Belux 2017! Where to Eat and Sleep…. This entry was posted in Geen categorie on 20 Nov 2016 by dilipvw.